EVERYWHERE — Hundreds of sweet-toothed customers filed complaints last week to the Wonka corporation as pieces of human bone fragments were found in their Wonka Bars. Charlie Bucket immediately ordered a recall on the Wonka Bars, stating there has been an ongoing internal investigation into the matter. 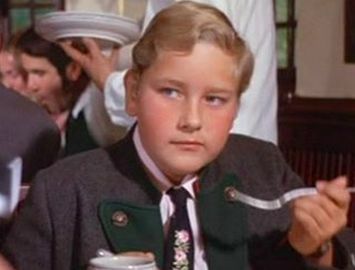 However, authorities are already speculating that the bone fragments may be that of a missing German boy, Augustus Gloop. Gloop went missing several decades ago after touring the Wonka factory. Although wrapped in years of mystery, Gloop’s disappearance has always pointed to foul play. Many who accompanied Gloop on the Wonka tour have stated numerous times that Gloop was last seen being sucked into a pipe after falling into a river of chocolate. Although some witnesses say they saw Gloop leave the factory after the tour, most evidence suggests he never left. “The last I saw of him, he was lodged in a large pipe that lead to the fudge room,” said Mike Teavee, a former Wonka contest winner and one of Hollywood’s leading television producers. “Mr. Wonka assured us the Oompa Loompas would take care of him, but I don’t buy that for a second. I never saw that kid again, I can tell you that much.” Mr. Teavee, who has accused Wonka of shrinking him while on the tour, is one of hundreds of customers asking Mr. Wonka to step down from his position on the board. Willy Wonka has remained very elusive over the past few decades but maintains a very active role in the company he once gave away to Charlie Bucket. Often called a demented child by his peers, Mr. Wonka has been sued by several people over the years, including reality star Veruca Salt and the nation of Loompaland. Since the investigation is ongoing, the FBI has refused to release any specific details in regards to the bone fragments and have also refused to press any official charges at this moment.